All The Write Stuff: Meet Melba Tolliver, GLVWG president & Founders Panel moderator! Meet Melba Tolliver, GLVWG president & Founders Panel moderator! Pictures from November 2013 GLVWG morning program "Founders Panel"
GLVWG "Write Stuff" Conference always offers so many varied choices. It's sometimes hard to pick which thing to do and this year is no different. One of the new items on this year's docket is Friday night's Founders Panel hosted by GLVWG President Melba Tolliver. Not only will you "meet the catalysts behind the dynamic group we call GLVWG" but you're likely to get a personalized look at how changes in the writing world affects how a group evolves in response. And that is a great way to get ideas percolating on an individual basis along with the obvious exposure to really fascinating stuff! President Melba Tolliver joins us today to give a glimpse behind the Founders Panel. What a fascinating topic this year's GLVWG "Write Stuff" Conference has for Friday night with the Founders Panel. I'm sure many will love getting a real look at how our dynamic history unfolded. First of all, who's brain-child was it adding this to the conference docket? Will it be anything like GLVWG's November program? Who is slated to be on the panel? Could you share a teaser of some of the things we might learn? 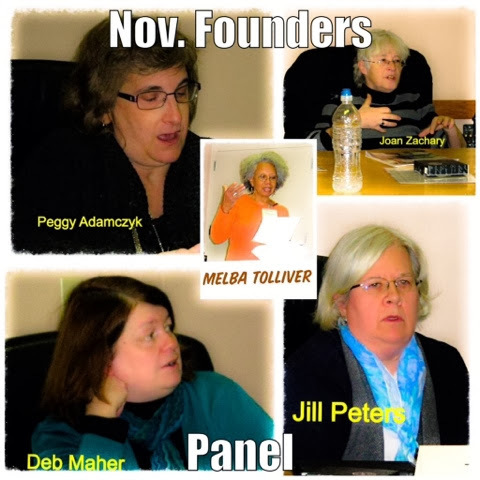 Melba Tolliver: The circumstances of GLVWG's beginnings is a fabulous story and the telling of it in a panel discussion at our November meeting inspired Brenda Havens, WS co-chair and me to reprise it as one of the Friday evening events. Hard to believe now, given the size of GLVWG's current membership, but the group's first meeting was called to order in a living room. Two good friends and very determined writers, Lorraine Stanton and Annie Kelleher, had spent a lot of time researching writers groups, and decided to start one of their own after cherry picking what was best about other organizations. Annie told me that she and Lorraine conceived GLVWG in the fall of 1992 and birthed it in Lorraine's living room with 3 other writers the following spring. A month later, as word spread, they had a dozen members and it was clear that Annie and Lorraine had tapped into the hopes and aspirations of folks like themselves in the Lehigh Valley who loved writing. At our November meeting, four of the very earliest GLVWG members, Deb Maher, Peggy Adamczyk, Joan Zachary and Jill Peters entertained us with tales of those early meetings, describing some of the concerns on the minds of the personalities who set the tone for the group early on. They also remembered some of the first Write Stuff conferences---really luncheons---at the Bethlehem Club. GLVWG has had its ups and downs over the years suffering growing pains and overcoming what Annie calls "Founder's Disease", a malady that strikes when people who start an organization are reluctant to see it change. The November panelists shared their various insights on how GLVWG dealt with challenges in the past and how it might meet new and different ones going forward. One issue raised during the Q&A involved the fiction and non-fiction factions within GLVWG, whether both are equally served in a group whose members write across many genres. 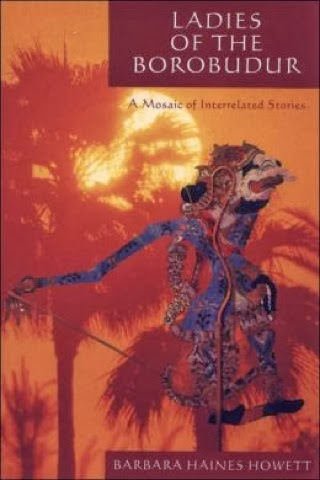 Time was way too short and we could have spent the entire 90 minutes on changes in the book and publishing worlds never anticipated by the early GLVWGers. We'll get into more of this, allowing more time for Q&A in what is sure to be a lively conversation. Deb Maher, GLVWG's first president, and Peggy Adamczyk, who's bringing her remarkable archive of GLVWG newsletters, will be back for the WS panel. Kathleen Coddington, former GLVWG VP, treasurer and librarian, and a writer with a passion for history, myth and magic, will join them. I understand you are moderating the panel. Can you tell us a bit of your history with GLVWG? How did you discover the group? What drew you in? Melba Tolliver: The late Bill Marley introduced me to GLVWG, suggesting I sign up for the WS conference in 2009. That did it. I joined the group and made my conference experience the first post on my new blog. I wrote about chatting with keynoter, Matt Birbeck, an award-winning investigative journalist and author, whose book on Sammy Davis, Jr. had brought him a movie deal. When GLVWG librarian Rachel Thompson went on the road and and asked for a volunteer to take over for her I was happy to do it. I later moved on to be secretary and now president of the group. What do you believe is the greatest thing a writer can get out of GLVWG? Melba Tolliver: Support. Support. Support. Whether it's a critique group or the Writers Cafe, you can get and give feedback on works-in-progress. In our morning programs or afternoon workshops members can educate themselves on any number of relevant topics and even serve as presenters themselves if they have expertise in a given area. A lot of networking happens in our group when members pick each others brains, exchange skills, or find a writing partner. If someone wants to volunteer to fill a leadership role, they can go for it and find benefits for themselves while helping the group. I like it that GLVWG provides so many opportunities to get and to give what's needed. With being a member for five years, holding offices such as librarian, secretary and president, you have had an eagle's eye view of how the organization has grown and changed. What do you think are some of the biggest or most profound evolutions? Melba Tolliver: I'm especially pleased that GLVWG has stepped up efforts to educate members about the tremendous changes in the book and publishing worlds. The late Bill Marley, Bart Palamaro and David Miller deserve much of the credit for keeping us current about independent author publishing. The technology has changed everything, even the way we in GLVWG communicate. Email, sharing through our blogs and social media was stuff not available to our founders. Not that I think we're well served by everything available to us in this digital age. For instance, our library became obsolete when members quit borrowing books, turning instead to blogs and other resources for help with craft and research. So we reluctantly sold off most of our books (they found good new homes) and closed the library. Thank you for undertaking the office of president this term at GLVWG. What do you think is the most important part of the office? How would you like to see GLVWG evolve? Melba Tolliver: Keeping track of the various tasks of the board and making sure everyone knows in a timely manner what's going on is what I find most demanding as president. I'd like to see us developing more partnerships with other entities. For instance, I recently attended an evening at East Stroudsburg University as it closed out its One Book One Campus year. They had chosen as their book "The Other Wes Moore" by the author of the same name who gave a wonderful, inspiring talk. The audience---ESU students and an entire HS class--put aside their cell phones and other devices to pay attention. I sat there amazed and wishing there was a way GLVWG could help support a program such as this. We have so much talent in GLVWG, I'd like to come up with more ways to share it. If memory serves me, wasn't there recently a Greater Lehigh Valley Writers Group Day in Easton? Melba Tolliver: Last fall I made requests of the Easton mayor and Northampton County supervisor. Both responded and created proclamations for each of five GLVWG founders or early members (Stanton, Kelleher, Maher, Adamczyk and Barbara Haines Howett) acknowledging them and noting the work of GLVWG on its 20th anniversary. Additionally, and to my pleasant surprise, Mayor Salvatore Panto proclaimed November 23, 2013 Greater Lehigh Valley Writers Group Day in Easton. One thing my years of reporting taught me: it pays to ask (about and for nearly anything) the worst that can happen is you get a "no" and sometimes no response. So I've become pretty practiced in my asking skills. Thank you so much for taking the time for this interview, Melba. GLVWG is such a diverse, dynamic and growing entity. It is going to be a real treat for our conferees to interact with our Founders Panel! Thanks for sharing your progressive views about GLVWG in this interview, Melba. I like your ideas.